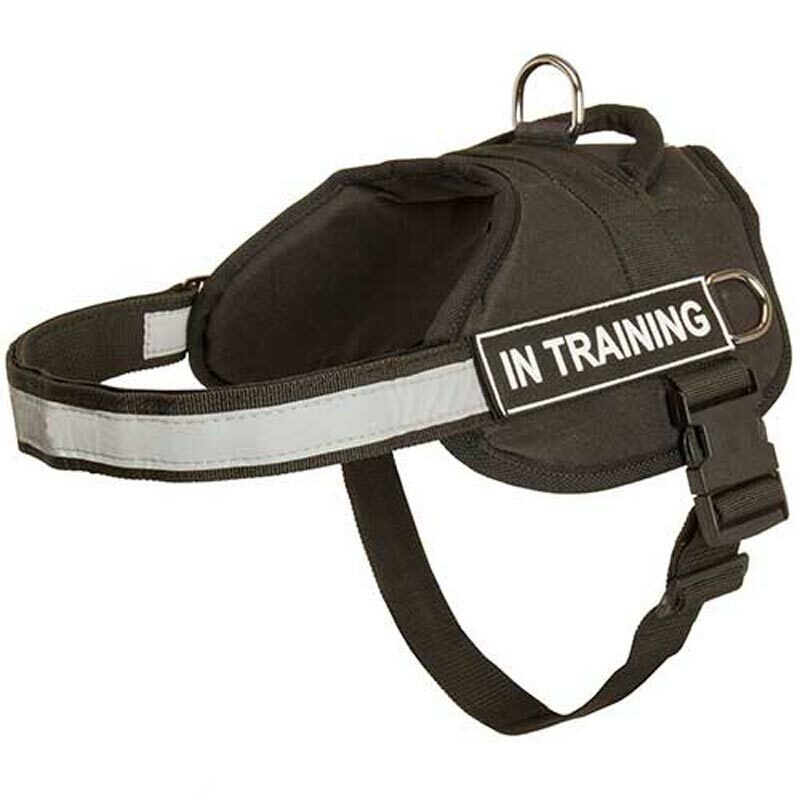 This Nylon Harness has extremely light weight and ergonomic construction. 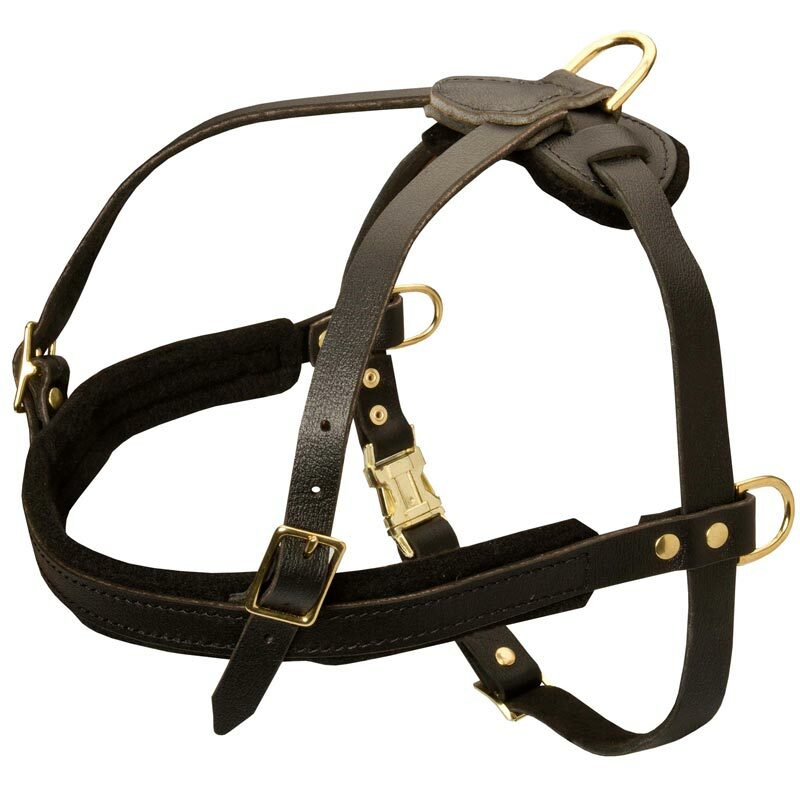 It is made of top grade nylon that is super strong, durable and water resistant. 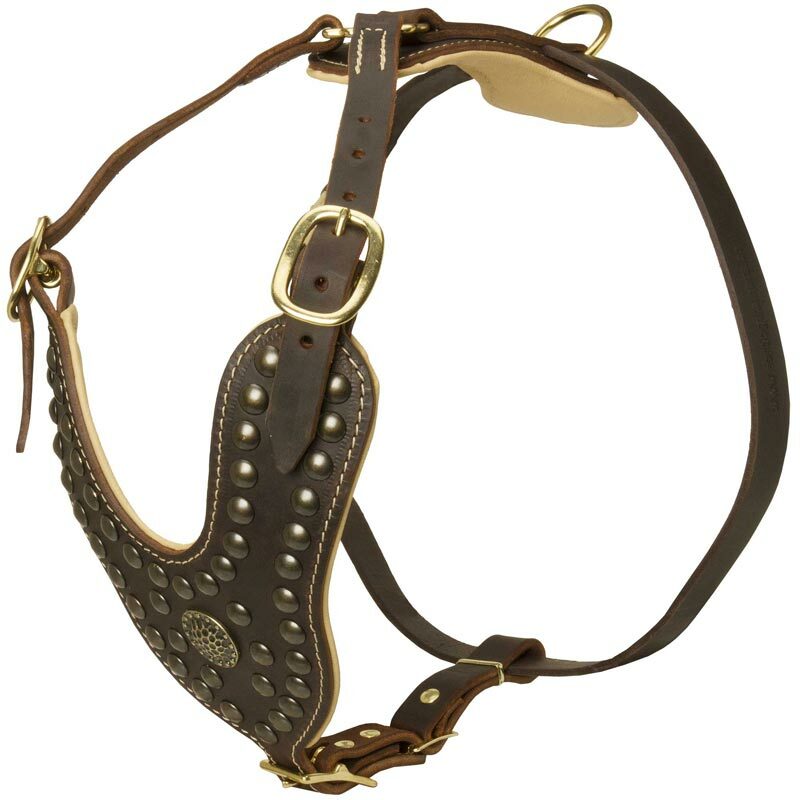 Nylon is easier in maintenance than leather, and be sure there will be no problems with allergies. 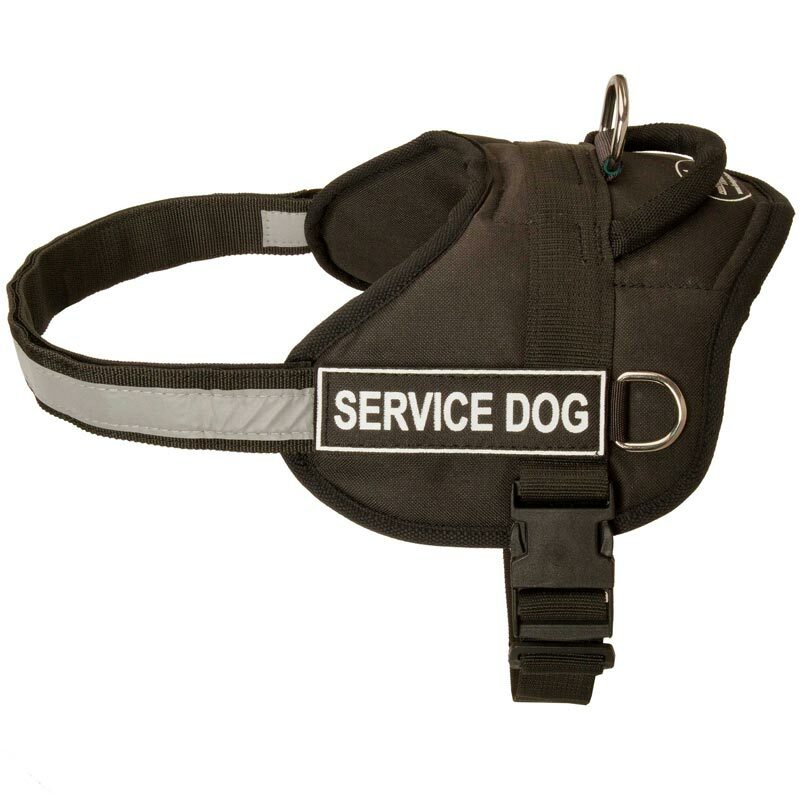 This dog tool is multifunctional; it can be used for daily walking, different kinds of training, tracking and even for police and military service. 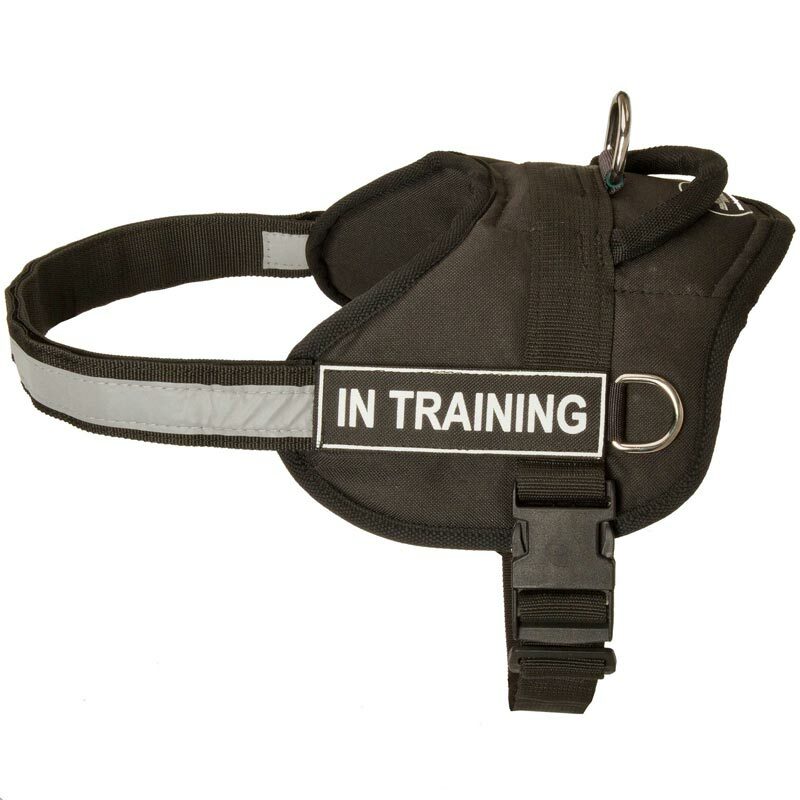 Also this Harness is equipped with special reflective strap, so your Rottweiler will be visible from long distances. 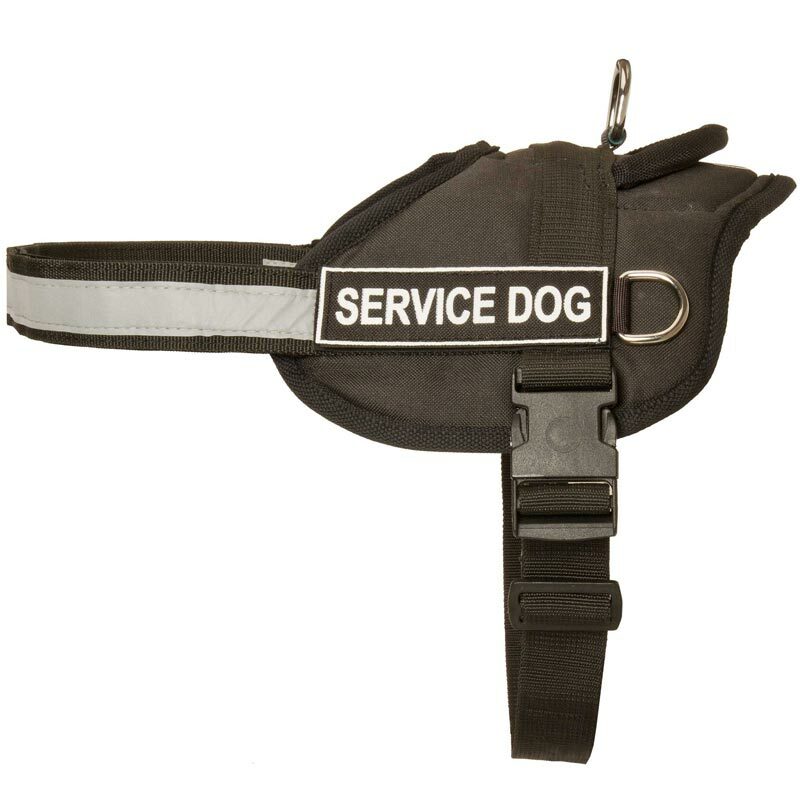 Special design provides your dog with utmost comfort. 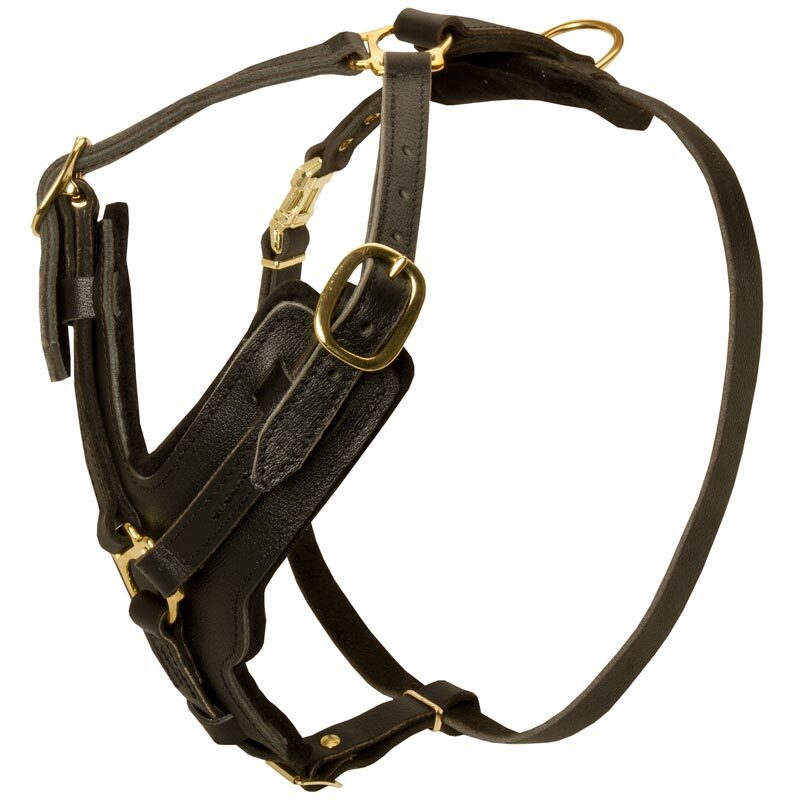 Be sure it will take you only several seconds to put this Dog Harness on/off thanks to plastic quick release buckle.